Born in Mexico and raised there and in South America, Annabel Manning works as an artist mostly with Latinx communities, especially the undocumented. She is encouraged by the resurgence of social-practice art, because it provides models for artmaking in conjunction with community building. 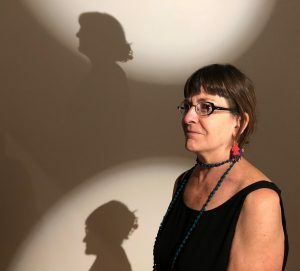 Her role as a social-practice artist is shaped by the needs of the communities with whom she collaborates to find ways for individuals to represent themselves, whether in pre-schools, schools, hospitals, art centers, or jails. In 2011, she helped to create a Spanish-language “Jail Arts Initiative” at two Charlotte-Mecklenburg County (NC) Jails in collaboration with the Bechtler Museum of Modern Art and the Mecklenburg County Sheriff’s Office. For the past four years, she also organized, with the Community School of the Arts in Charlotte (NC), a bilingual art and literacy program for Latinx families and their preschooler children. A Lewis Hine Fellowship at the Harlem Community Justice Center will give Annabel an opportunity to deepen her work as an artist with the Latinx community, this time back in New York City where she first began working with these communities.